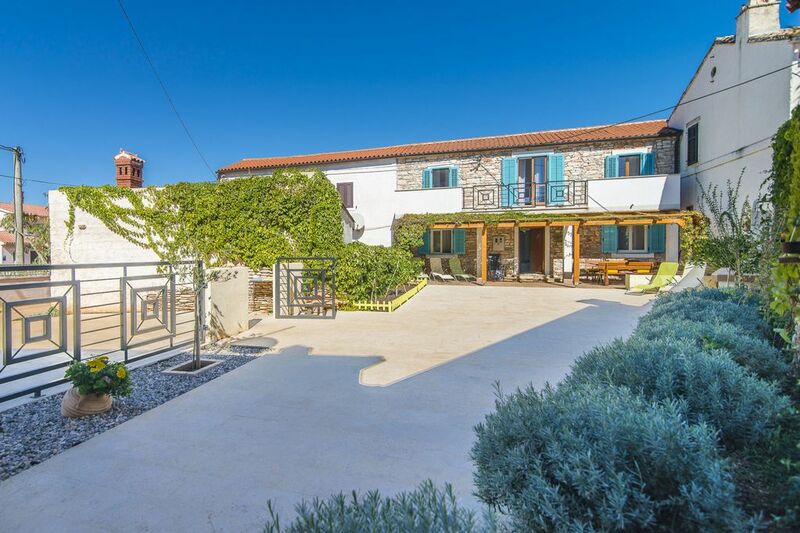 Holiday home Dina is a charming stone house and stretches over 2 floors. On the ground floor there is a living room with a sofa-bed for 1-2 persons. Fully equipped kitchen with dining room, and a bathroom with shower are also situated on the ground floor. The first floor consists of 3 double bedrooms and a bathroom with shower. The house has got free wi-fi, Sat-Tv and air condition. Bed linen and towels are provided. There is a barbecue and a big covered terrace in the garden. Private parking place. Pets are welcome! Es war ein sehr schöner Urlaub. Es hat alles gepasst.